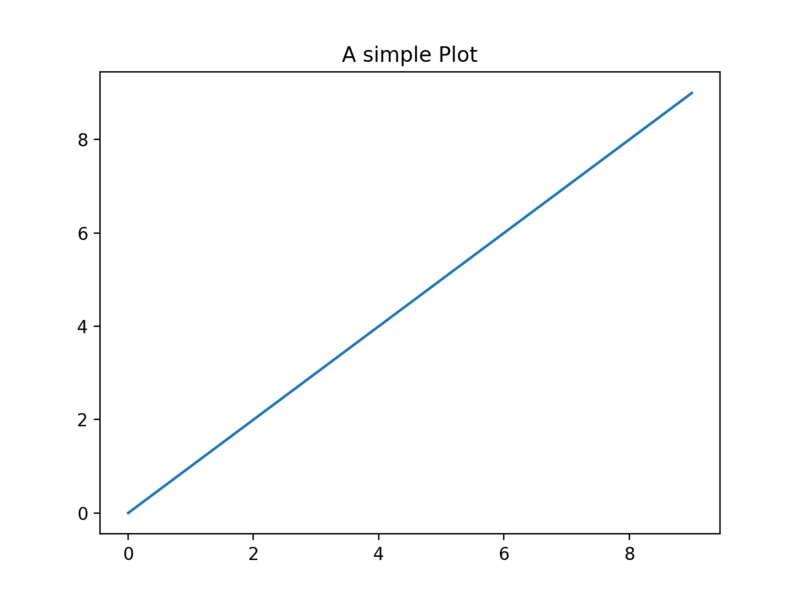 SunPy makes use of matplotlib for all of its plotting - as such, it tries to follow the matplotlib plotting philosophy. It is therefore useful to go over how matplotlib works as background. 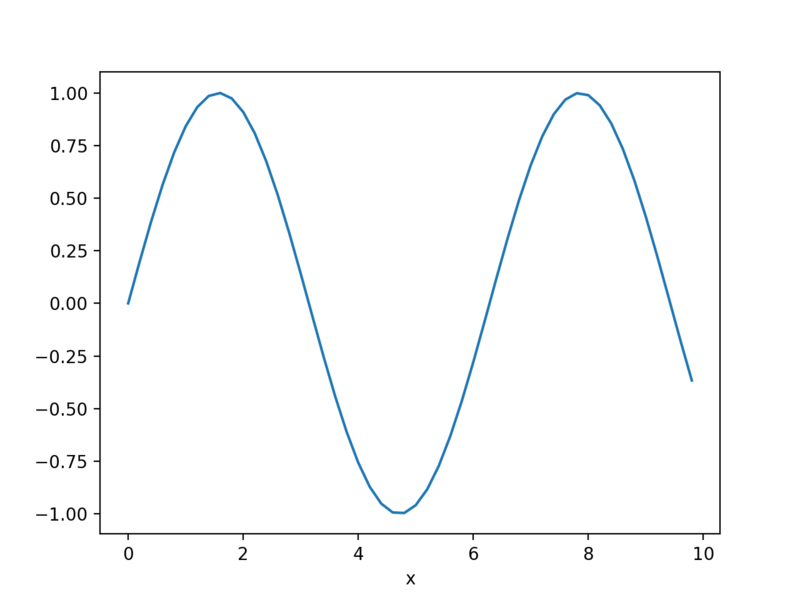 The tutorial provided here is a summary of one that can be found in the matplotlib usage documentation. Matplotlib provides two main pathways for plotting. One is meant for interactive use (e.g. command-line) and the other for non-interactive use (e.g. modules). It is important to recognize though that the interactive-use pathway (referred to as pyplot) just provides shortcuts for doing many of the more advanced non-interactive functions in the background. It is therefore possible to switch between the two as necessary and it is possible to use pyplot in a non-interactive way. In this manner pyplot is just a shortcut to making it quicker to set up plot axes and figures. In order to get access to the full interactive capabilities of pyplot it is necessary to turn this feature on. Pylab is another matplotlib usage scenario but it is essentially just pyplot with the interactive capabilities turned on and numpy and matplotlib imported into the main namespace. Here is a simple example of pyplot usage. The show command opens a plot on the screen and blocks execution until the plot window is closed. The show command only works once. If you were to call show again after the above code is executed nothing happens. This confusing behavior is something that the matplotlib devs get complaints about often and so this may change. A discussion about this can be found here. Don’t be confused by another command called draw. This is only used while in interactive mode. If you need more fine-grained control over plots the recommended path is to use pyplot and access the figures and axes objects. This is shown in the following example. In matplotlib, Figure is the top-level container for all plot elements and Axes is the top-level container for a particular plot. So the above example, creates a figure then creates an axes and populates the plot in ax. With this method you now have your hands on the Axes object so you can do things like change the labels on the x and y axes or add a legend. In the previous section, pyplot took care of creating these objects for you so you didn’t have to worry about creating them yourself. To be consistent with matplotlib, SunPy has developed a standard plotting policy which supports both simple and advanced matplotlib usage. The following examples focus on the map object but they should be applicable across all of the data objects. For quick and easy access to a plot all SunPy base objects (i.e. maps, spectra, timeseries) define their own peek command which will create a plot for you and show it without you having to deal with any matplotlib setup. This is so that it is easy to take a quick look at your data. 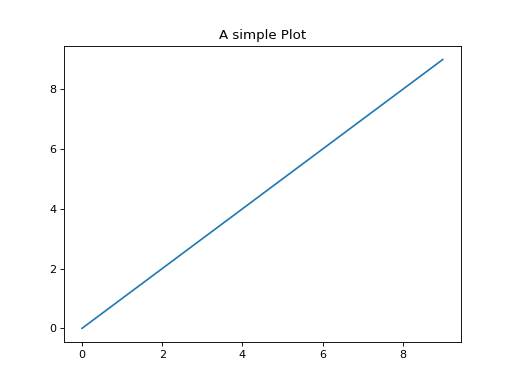 For example you can make the following plot. This creates a plot window with all axes defined, a plot title, and the image of the map data defined by the contents of the map. In non-interactive mode the plot window blocks the command line terminal and must be closed before doing anything else. For more advanced plotting the base SunPy objects also provide a plot command. This command is similar to the pyplot imshow command in that it will create a figure and axes object for you if you haven’t already. 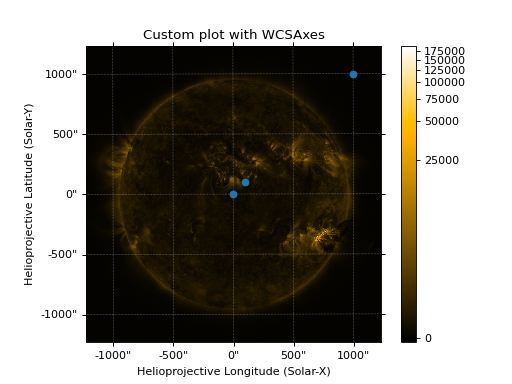 When you create a plot with peek or plot, SunPy will use astropy.visualization.wcsaxes to represent coordinates on the image accurately, for more information see Plotting Maps with wcsaxes. # Prevent the image from being re-scaled while overplotting. 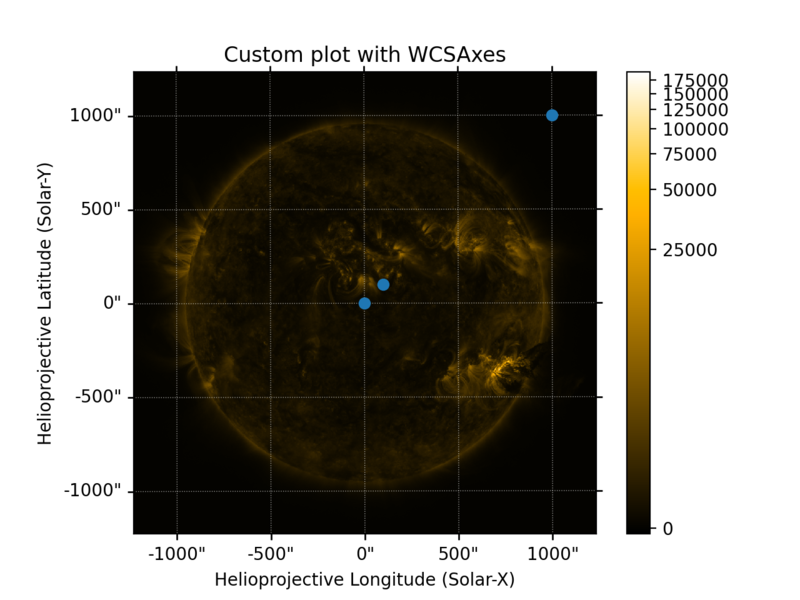 It is possible to create the same plot, explicitly not using wcsaxes, however, this will not have the features of wcsaxes which include correct representation of rotation and plotting in different coordinate systems. By default SunPy map uses the astropy.visualization.wcsaxes module to improve the representation of world coordinates, and calling plot or peek() will use wcsaxes for plotting. Unless a standard matplotlib.axes.Axes object is explicitly created. Finally, here is a more complex example using SunPy maps, wcsaxes and Astropy units to plot a AIA image and a zoomed in view of an active region. # Create a SunPy Map, and a second submap over the region of interest. 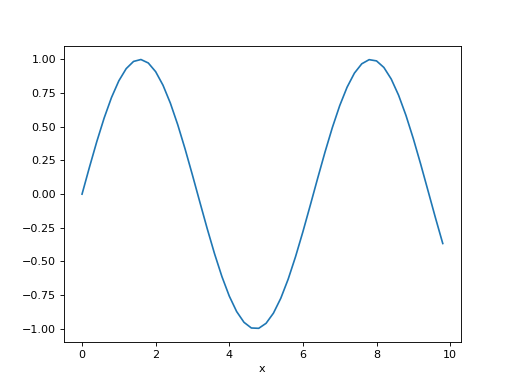 # Create a new matplotlib figure, larger than default. # Add a first Axis, using the WCS from the map. # Plot the Map on the axes with default settings. # Create a second axis on the plot. # Add a overlay grid.